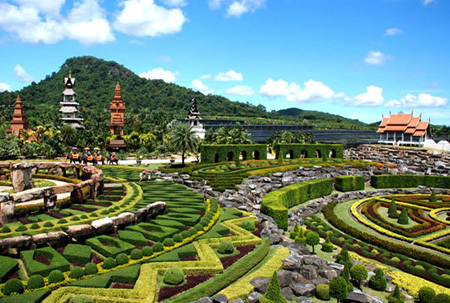 Nong Nooch Tropical Garden Village Pattaya Sightseeing Tour (Nong Nuch Thailand). Book Online. Two man-made lakes and more than 500 acres of exquisitely manicured gardens, including gardens dedicated to bonsai, cactus, palms and bromeliads, and a hothouse for orchids and ferns, make this one of the most attractive tourist resorts in the province. 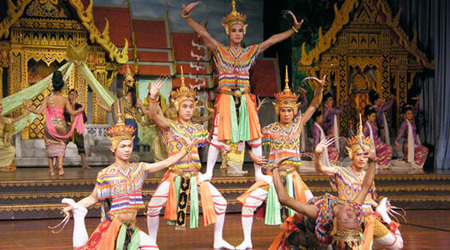 Shows three times a day at the Thai Cultural Center feature martial arts, indigenous sports, hill tribe music and dance, a Thai wedding ceremony, a Buddhist ordination ceremony, and performances by trained elephants. At the small zoo you can have your picture taken with a baby tiger, elephant, chimpanzee or parrot, and there is also a small exhibition of Thai antiques. Priced at 750 Baht per person. Includes transport and, entrance fees.